Nice and Reims face in Allianz Riviera, in a match for the 1st round of League 1. The history of direct matches played in this stadium is favorable to the home team, which in the last 3 matches won 2 and drew 1. Indeed, the last time these two teams played a match in this stadium, on 22-04-2016, for League 1, Nice won by (2-0). V. Germain (11 ‘) and H. Ben Arfa (56’) scored the goals of Nice. Particular attention is required for the home / away condition, since both teams present significantly different results at home and abroad. This is the first match in this edition of the home team competition, which finished the previous edition in the 8th position. This is a team that usually makes good use of the home advantage, stronger with the help of its supporters, since in the last 30 matches they register 3 wins, 5 draws and 7 losses in away matches, with 23 goals scored and 23 conceded; against 7 wins, 2 draws and 6 losses at their stadium, with 19 goals scored and 19 conceded. In the last match they played, for the Friendlies, they lost with Torino away by (1-0). In the last 10 home matches Nice has won 4, tied 2 and lost 4. They have not been very strong defensively, since they have suffered goals in 9 of the last 10 matches, but their offense has scored frequently, since they have scored goals in 8 of the last 10 matches. The Nice had a very irregular preseason, since it added only 1 victory in the 5 parties disputed. We remember that the locals made a reasonable championship in the previous year, finishing in the 8th position, with 54 points won. In this match against his fans, new coach Patrick Vieira will have to keep the team in 4-3-3, privileging possession of the ball and organized attacks, especially through the flanks. 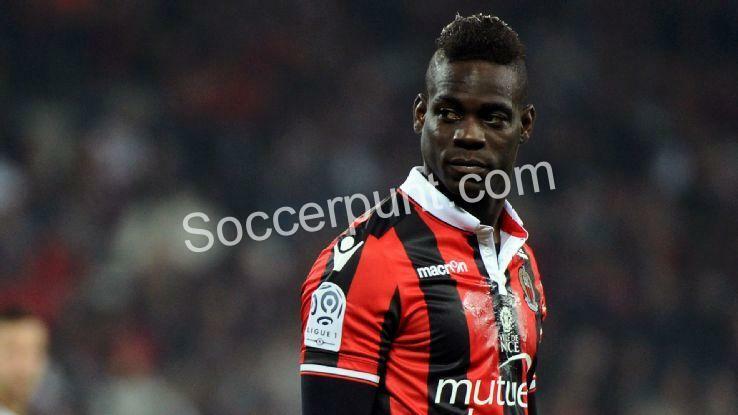 Balotelli tip remained in the club and promises to be one of the highlights this season, but is suspended in the first three days. In addition to this player, the coach does not have Hassen, due to an injury. The visiting team plays their first match in this edition of the competition, after having won the promotion for having finished the last edition of the lower division in the 1st position. This is a team that, oddly enough, was better outside than at home, as in the last 30 matches they register 11 wins, 3 draws and 1 loss in away matches; against 9 wins, 2 draws and 4 losses at their stadium. The team comes to this match after a home loss with Guingamp by (1-4). In the last 10 away matches for all competitions, Reims has won 7, tied 2 and lost 1. The team has not been very strong defensively, as they have suffered goals in the last 10 matches, but their attack has scored regularity, as they scored goals in 9 of the last 10 matches. The Stade Reims comes to this new season with the aim of guaranteeing the maintenance in the main French division, since the previous year guaranteed access to this division. In the last match played, the visitors won at Dijon, 2-1. In this game away from home coach David Guion must play with a tactical system very similar to the last friendly, that is, 4-3-3, Anatole Ngamukol being the one responsible for tormenting the defensive line of the premises. Out of this game will be Dingome and Mendy.